Adult M/L. Repurposed Denim Jacket. One-of-a-Kind, wearable art piece, with hand stitching, quilting, fabric paint, and velvet trim. 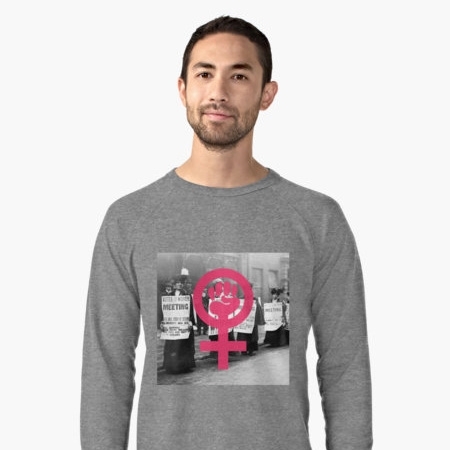 Featuring an original color burst of fabric surrounding a vintage image of a female on the back of the jacket, with the words "The Future is Female" stretching across the shoulders. Free Standard Shipping. DEPOSIT. To order a custom jacket, a $150 deposit must be made before the process can commence. From there, Kelsey will work with the customer to choose patches, buttons, and imagery for the jacket. A final price and design will be agreed upon between both parties. The amount will be due in full after the agreement is made. 20.5" x 28" wallhanging. Machine quilted, One-of-a-Kind art piece. Hand-sewn button accents, hand-sewn binding, machine quilted fabric burst, with a signature tag on the back. Wooden dowel for hanging included. Free Standard Shipping. 14"x11" wallhanging. Machine and hand quilted, One-of-a-Kind art piece. Hand-sewn accents, including text messages actually sent, with a signature tag on the back. Wooden dowel for hanging included. Free Standard Shipping. 20"x20" wallhanging. Machine and hand quilted, One-of-a-Kind art piece. Hand-sewn accents, machine quilted fabric burst, with a signature tag on the back. Wooden dowel for hanging included. Free Standard Shipping. 19"x21" wallhanging. Machine and hand quilted, One-of-a-Kind art piece. Hand-sewn accents, and scientific drawings, with a signature tag on the back. Wooden dowel for hanging included. Free Standard Shipping. t-shirts, dresses, skirts, scarves, sweatshirts, clocks, framed prints, posters, mugs, phone cases, stickers, journals, and more. available here.